Makro na bind kolečka. Ideální třeba na transfery. Hledal jsem nejakej zajímavej titul na téma cyberpank a narazil jsem na toto. Pokec o všem ostatním.. / Víte jak vznikají peníze? When installing Darkfall Unholy Wars or running the client you may run into various errors. Most can be fixed by the following. -Installing Service Pack 1 for Windows 7. (Found at the Microsoft website as a standalone executable, shouldn't conflict with less than noble versions of windows 7.) To check your version of Win7, click the start button in the bottom left corner of the desktop screen, and in the small white text box, type 'winver' (short for windows version) and press enter. You may be running Windows 7 6.1 build 7600. After the SP1 Update you should be running Windows 7 6.1 build 7601. -Make sure you aren't missing data files from your Darkfall UW Data folder. (Click options on the launcher/patcher and check mark "Validate and Repair Data Files." then rerun the launcher/patcher. These are the most common errors, if you have others and find fixes around the forums, or on your own, let me know so that I can implement them into this guide. Thanks! Hlasujte co chcete hrát po releasu jako první specializaci. 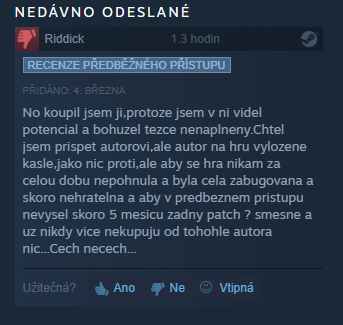 Taky bych rád věděl kdo bude hrát s nami a kdo půjde do jiného clanu. Obědnal sem si novou myšku na Darkfall. http://www.svethardware.cz/art_doc-0583F25A75206FC8C12577AC00626CA6.html nějaký zkušenosti s tímhle kouskem? A je to tu. War has begin. Ted jde jen o to, kde na nas zautocej Zitra ocekavejte hodne hustej siege. Ministerstvo zdravotnictví s okamžitou platností zcela zakázalo prodej a nalévání tvrdého alkoholu nad 20 procent na celém území republiky. Dosud zákaz platil pouze pro stánkový prodej, nyní se rozšiřuje i na všechny obchody, restaurace a hotely.